Great marketing isn’t just about marketing output. It’s about creating measurable business outcomes. 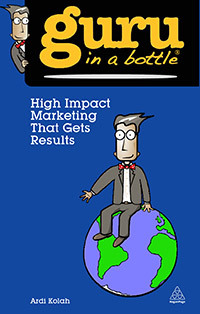 High Impact Marketing That Gets Results is dedicated to helping marketing students and practitioners understand how to achieve an increase in profits through more cost-effective sales and marketing activities, where the return on investment is the measure of whether that goal has been achieved. Market and customer segmentation; writing a marketing plan; understanding the marketing mix; brochures, press ads and print copy; signs, posters and ambient media; online marketing, mobile marketing; direct marketing; public relations; using promotions; top ten common marketing mistakes to avoid and top ten ways to save money in marketing.